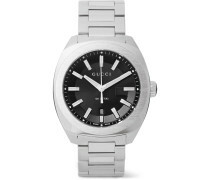 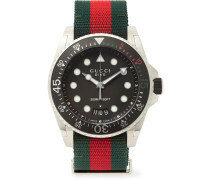 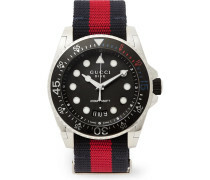 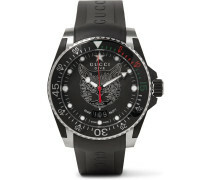 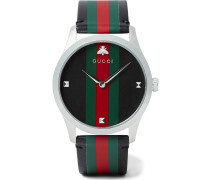 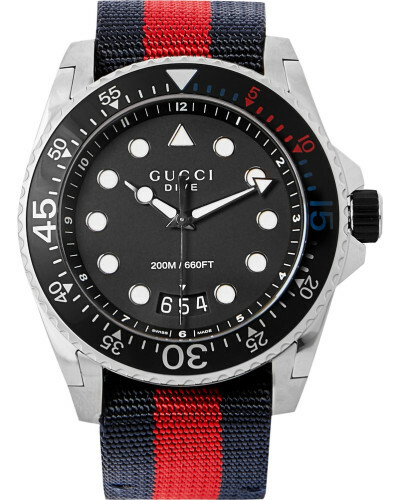 Stainless steel case, navy and red webbing strap - Black face, white indices - Glass lens - Buckle fastening - Two year warranty - Comes in a presentation box - Made in Switzerland - Gucci 's Swiss-made watch is fitted with a durable webbing strap that's patterned in the Italian label's distinctive stripes. 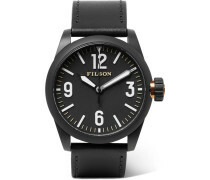 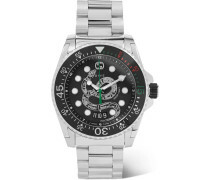 The stainless steel case features a rotating bezel and is set with a black face and stark white indices for easy reading. 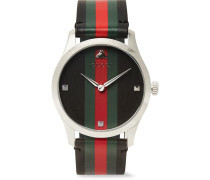 Wear yours to add a sporty finish to any look.